Sarah Booth Delaney is heartbroken: her fiancé Graf Milieu has decided to move to Hollywood permanently, leaving their relationship in shambles. Sarah Booth has a perfect distraction, however, in the form of the Black and Orange Halloween ball her best friends are throwing in New Orleans. Sarah Booth plans to dance the night away to the swinging tunes of her old flame Scott Hampton’s blues band. But just as the party gets going, Scott receives a mysterious message that threatens his life and the lives of his bandmates. Sarah Booth knows that a new case is just what she needs to take her mind off her failed relationship with Graf, and she’s ready to help Scott investigate. And then the message turns from threat to reality when the bartender from Scott’s club is gunned down in a drive-by. Enlisting Sheriff Coleman Peters and the rest of her friends from Zinnia, Mississippi, Sarah Booth is caught in a race against the clock as she tries to stop a killer from striking again. 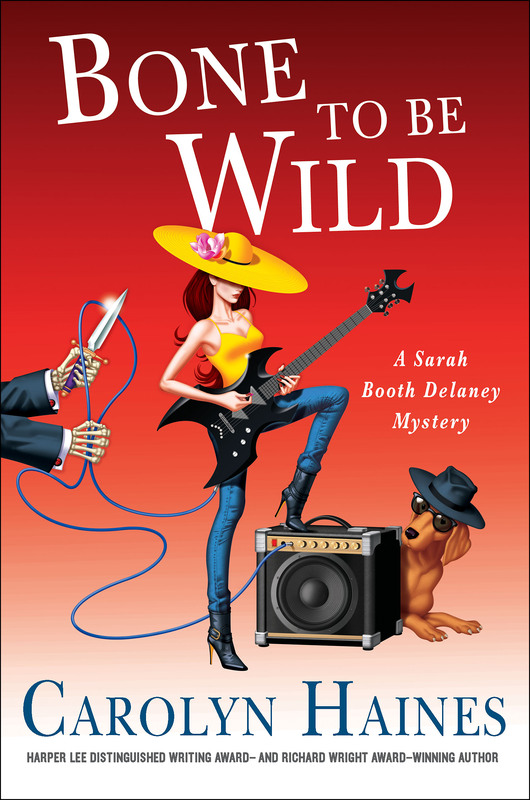 With a twist around every corner, Carolyn Haines will delight readers with Sarah Booth Delaney’s latest zany adventure in Bone to be Wild.